You’ve spent months preparing for the GMAT and writing countless essay drafts. 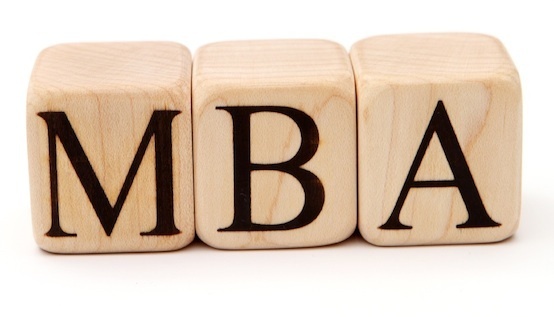 The interviews were stressful - but only another step in a series of MBA application obstacles. At work, you check your email and phone constantly, hoping that an acceptance (and not a rejection) will arrive at any moment. It comes. You’ve been accepted to Wharton. A few days after, Sloan. And almost a week later, INSEAD. Fit is probably one of the most important reasons to both attend and certainly NOT attend a school. Fit can mean a lot of things. It’s about the people: do you like them? Are they coming from or going into industries that you’d want to be a part of? It’s about the school itself: what is the curriculum like? What speakers actively come to campus? What kinds of conferences are hosted? And it’s about career: What companies actively recruit at the school? Is my school known for being a feeder school to the Big 3 Consulting firms? All of this might seem like obvious due diligence to conduct at the start of the MBA search, but you’d be surprised how few people actually do the research at the outset. The easiest way to find these answers is to speak to students and alumni and sit in on a class. Weighing what is more important to you can also help you choose between schools. If people matter the most, then perhaps a curriculum that you are not as excited about shouldn’t matter. Make sure your career objectives are aligned with what the school can offer. For example, do you want to work internationally? INSEAD might be the way to go, but Wharton will likely get you there, too. Are you interested in entrepreneurship? Sloan has a potentially greater focus on the area, but all three schools have minted important startups in the last years. One thing I did when I was applying to MBA programs was make a list of the people I admired most and then looked at their career trajectories. Many of these people had MBAs, some from Wharton, some from other schools. My thought process was this: if they went to this program and have gone on to do X or Y, then maybe there was something in that program or in the alumni network, that helped them get there. You need to take a good look at how big and deep the network is, particularly geographically, and assess whether the kinds of people you’re interested in meeting and being connected to come from that school. I can’t tell you how many people I was able to access because I was a Wharton student. It was incredible. Just to sit down and speak to people you admire, to learn about them first-hand, was something that was incredibly valuable and a facet of the experience that I had taken for granted at first. Of course, the network won’t necessarily get you a job (thought it can certainly help with that), but it will allow you to meet interesting and accomplished people, who can give you learned advice. This shouldn’t be the main reason to pick a school, but I agree that it is important and is perhaps a tie-breaker when you’re choosing between schools. (It’s particularly important when you’re an international student from what I’ve heard.) Say you’ve been accepted to a school that is consistently ranked in the top 5 and one that is not. If you like both of them equally, it’s probably a safer choice to go with the higher-ranked school. Either way, many of the reasons outlined above (perhaps less so fit), are connected to rank anyway. Normally, I would say that optimizing for the cheaper program is not a good idea. An MBA, no matter how you cut it, is not going to be cheap. But sometimes you are that lucky person who gets a full ride to Stern or quite a bit of funding from CBS. If this happens, then there are two strategies. One, if you prefer your other options, you can always call the admissions office and negotiate with them. I’ve heard of schools offering money to students who have strong offers at other, competitive programs. Two, you need to weigh the quality of the program with your future career choices. If your plans are to go back into finance or consulting, then you’ll probably be able to pay down the debt quickly and easily. If your aspiration is to be a nonprofit manager, then the story is different. An MBA is quite an investment, so choosing the right program matters. Hopefully this advice will prove helpful when making that choice. Are you interested in connecting with a coach about the MBA admissions process?